For a close-up look at Organizational Change, be sure to follow Patti Anklam's blog. She is co-leading that particular project with Nat Welch. My regular readers may have already detected that I am a New Yorker magazine junkie. My friends can hardly fail to notice this, since I am always saying, "Yes, and that reminds me of an article I just read in the New Yorker," at which point I take over the conversation for a few minutes. In the olden times (before today) that was more than enough for my friends. But as of today it is just the beginning. Now I can go home to my personal NYer archives (dating from 9-11), grab the issue in question, put it through my scanner, and sit back while my computer receives the entire article in the form of a Word document (with columns, pages, and cartoons all properly configured) or a PDF (with text searching). I leave the rest of the story to your imagination, since this is a copyright-friendly blog. If any of you just happen to be thinking about email right now, let me say--that reminds me of a great article I just read in the New York Times: "Enron Offers an Unlikely Boost to E-Mail Surveillance." I am a bit embarassed to be mentioning this article now. It was published very prominently on Sunday. But I have been so preoccupied with my new ThinkPad that real life is apparently passing me by. 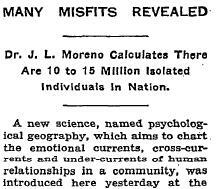 So thanks to Jim Murphy for clipping the article and handing it to me, in a quaint nod to life before scanners. Jim's gift prompted me to check Patti Anklam's blog and see her review of the article which she wrote the day after its publication. The gist of the story is that a huge pile of Enron email is now publically available. The email provides a detailed look at communication from before the California energy crisis right up to the final bankruptcy scandal. 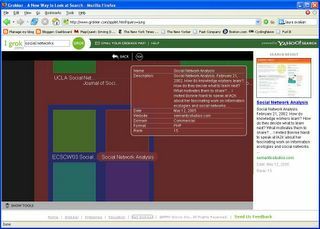 This is an unprecendented resource for sociologists and computer scientists, who have proceeded to demonstrate not only the power of textual analysis (how often do people say "Dynergy" or "bankruptcy" week by week) but also the power of network analysis (who sends email to whom and when, regardless of the content). Note the use of a hierarchical circular layout that places people in three categories: (1) periphery, (2) mid-level, and (3) core. That's a great way not to distract people with unnecessary detail. The Enron analysis is being led by David Skillicorn, Kathleen Carley, and Michael Berry. Want to try this at home? You can! Investigate your own email communication network by downloading Peter Gloor's TeCFlow. Contemplate for a moment your medical history. Whenever you visit your doctor, she has your file handy; but what happens to that information when you're not there? Most of us probably trust that our records stay safely locked away--my records belong to me, not my doctor. But what if my bank managed my money the same way? Vast reserves of cash would sit unused while debt markets shriveled, and I would earn no interest on my savings. Security is only the first step of responsible stewardship. This is the starting point of the exciting idea of "health information liquidity." I caught a hint of this idea listening to Tim Andrews introduce himself to a group several weeks ago. Just yesterday I finally sat down with Tim to hear about his work in more depth. "In most professions... competition insures that, over time, good ideas are diffused through the whole system: people who don’t absorb and adapt fail. But medicine, which is in some ways quintessentially modern, is in other ways a throwback, a bastion of parochialism in a globalized age." Centrality is one of the most basic social network concepts across the galaxy. And yet even for us professional social network analysts, this basic concept seems surprisingly slippery. For those of you who have never thought about centrality formally, let me introduce you to the slipperiness with a little game: Who is the most central person in the network below? Did you guess (1)? This person has more direct connections than anyone else. Or perhaps you guessed (6)? This person has fewer direct connections than (1) but is more central in the sense of influencing network-wide communication as it transfers through him. One: What is the fundamental commodity that flows through the network? Is the commodity like a physical object that can only be in one place at a time? Or does it generate copies of itself (like an idea) and so occupy many places at once? Two: What kinds of trajectories does the commodity follow through the network? Can it sensibly visit the same person or relationship more than once (like a dollar bill) or does it proceed directly from source to destination? After presenting his checklist, Borgatti then surveys the literature on centrality. Here we find a bewildering array of formulae with names like degree, closeness, betweenness, information, and eigenvalue. Borgatti explains how each centrality measure assumes a certain set of answers to his two-dimensional list of questions. The resulting table exposes how centrality measures developed with one set of assumptions in mind are often applied to networks where these assumptions completely break down. For example, betweenness centrality assumes a network where flow moves along the shortest possible path from source to destination (like a package), and yet it is commonly used to measure influence in scenarios where shortest paths are hardly the only ones that matter. (Rhetorical question: Is the shortest path between HIV and you the only one you care about? Or do you care about all possible paths?) Borgatti’s table also exposes gaping holes in our understanding of centrality—for example, there are no established centrality measures for gossip or support networks. For more on centrality, see Borgatti’s “Centrality and network flow” and other excellent articles in Social Networks 27 (2005) 55-71. One thing I love about social network analysis is how it goes beyond the org chart to identify which people, or which groups, are really connected or not. Sometimes you look at a network map and a group of people jumps out at you that you never even thought to recognize before. 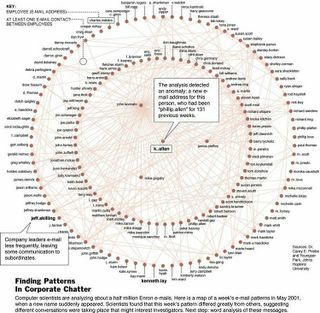 Social network analysts aren't the only people interested in finding natural community clusters. Another great application is making sense of all the information on the Internet. 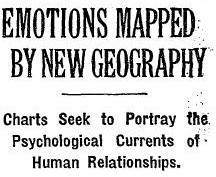 I've been talking about that indirectly in this thread on Internet visualization, hoping all the while that some Internet techie would put these pieces together. 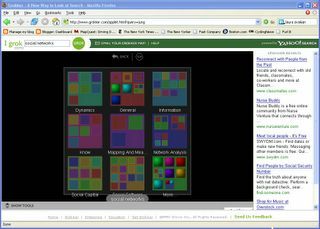 "Groxis, a San Francisco-based company that was founded in 2001, has converted its desktop Grokker software program, which displays a Web search as a series of categories set in a visual map, to run as a Java plug-in for browsers. 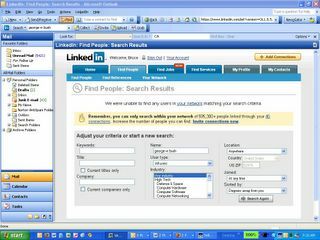 "On Monday [May 9, 2005] the company will begin allowing computer users to view Yahoo search results with its visualization technology at www.groxis.com. "'We're not intent on replacing Google or Yahoo,' said R.J. Pittman, chief executive of Groxis. 'This is if you want to go deeper.'" It was just a couple days ago that I reiterated my claim that LinkedIn doesn't provide anything I would pay money for. I've learned a few new tricks since then and am prepared to admit today that LinkedIn may be onto something. Unfortunately W and I seem to be even more than six degrees apart. Nice things about the LinkedIn Outlook toolbar: It makes it easier than ever to keep your Outlook contact folders up to date. It can scan your email archives and suggest new additions to your contact database. It also features a way-cool "Grab It" feature where you can drag your mouse over someone's email signature (or any other text) and it will quite skillfully create an Outlook contact entry based on that text. All these features make Outlook easier for me, regardless of what I get out of LinkedIn. Of course, the LinkedIn Outlook toolbar also makes it easier than ever to upload your contacts from Outlook into your LinkedIn profile. If I ever actually connected with people through LinkedIn, this would be fantastic. For now, that part is kind of like an arcade game where I compete with friends and colleagues to see who can score the most connections. When LinkedIn talks to Microsoft about developing this concept further, it's scary to contemplate where it can go (scary good and scary scary). It will be fun to watch how this plays out, and don't forget about Visible Path. Last week Connectedness got a mention on SOCNET from Barry Wellman. Barry doesn't get as much press in the business consulting world as some other social network gurus out there, but in the realm of INSNA (the International Network for Social Network Analysis) he is pre-eminent. In fact, Barry founded INSNA. Barry has an extremely high degree of what is technically refered to as "centrality. "* In layman's terms, that means that when Barry says "Connectedness is OK," the result is more traffic in two days than Connectedness had seen in the entire previous month. In contrast, when I say "Barry Wellman's Net Lab is a fantastic compilation of research on how the Internet affects everday life," chances are that Net Lab's web servers will not strain perceptibly under the additional traffic I refer their way. Astute readers may be wondering, "Is centrality really the whole story?" That's a good question, and the answer depends in part on how we decide to define "centrality." The funny thing about centrality is that it is so central to our intuition about social networks and yet it is not easy to pin down with mathematical precision. This is partly due to computational complexity, but mostly I think it's because we're so used to thinking informally about centrality that even after we think we've formalized it, we still forget to verify the sensibility of our equations. That's a message I recently took away from Steve Borgatti's paper "Centrality and network flow," Social Networks Vol. 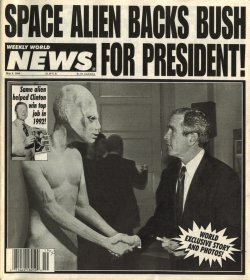 27, issue 1 (Jan 2005). I'll say more about that soon. PS -- See David Knoke's SNA Course Syllabus for more well-done materials like the centrality handout I referenced above. David teaches sociology at the University of Minnesota. 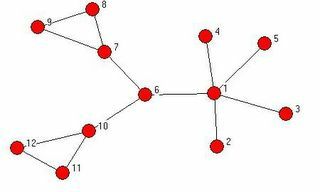 "Despite its growing popularity among consultants and scholars, many people find it hard to begin using social network analysis (SNA) because its methods and software programs seem too daunting or complex." So says the flier for an upcoming SNA master class, and I couldn't agree more. The master class aims to give experienced consultants hands-on experience and a big push up the steep learning curve of SNA. The class will run June 13-15 at Boston College's Carroll School of Management. It will be taught by Inga Carboni and Pacey Foster, and will feature guest appearances by luminaries Steve Borgatti, Bill Torbert, and Patti Anklam. I attended a wonderful two-day UCINET seminar taught by Inga a few months ago and recommend this workshop as a great way to get up to speed with SNA. Thanks to my buddy Neal Young for pointing me to Yesterday's NY Times Technology section, which featured a story "Skeptics Take Another Look at Social Sites." Many of the doomsayers who earlier predicted a bursting of the growing social network software bubble are now reconsidering. I am pleased to hear this but confess that I still don't see anything I would pay for on LinkedIn, which is featured prominently in the article as a well-funded social network software startup. Thanks to my colleague Marga Biller for pointing me to this interesting take on the Tipping Point. They've got a management "flight simulator" and other tools to promote a holistic approach to organizational change. Interestingly, this rather extensive "Tipping Point" website contains not a single mention of Malcolm Gladwell, author of "The Tipping Point" and certainly the reason this phrase is so popular today. But, as reported here earlier, Gladwell is genuinely flattered when his ideas are put to good use, with or without attribution. You can download the whole article right here. Wasserman is not only a professor at Indiana University but also Chief Scientist for Visible Path. I first heard about Visible Path when their corporate blog Centrality came out. I recommend you pay it a visit, and then check out the rest of what Visible Path has lined up. It's kind of like LinkedIn on steroids. Their system digests your entire Outlook database (with your permission, of course) and continually monitors all electronic communication among participants. Then when you want to reach a sales prospect (the primary application of Visible Path at this point) the system will recommend the best route to an introduction. Wasserman has apparently created some sophisticated (and proprietary) calculations to inform this recommendation. Also, if you're a sucker for slick Flash demos, then you have to visit Visible Path just to see theirs. These folks have clearly put a lot of thought into more than statistics.